The Grand Hotel de Bordeaux was once in Le Havre, France. I am not able to find where this hotel was in Le Havre, but the Grand Hotel de Bordeaux looks to be in Bordeaux France now. I did a quick cruise to hotels around Le Havre in Google Maps but was not able to find it. Perhaps one of you dear readers may be able to pin point where this building is? 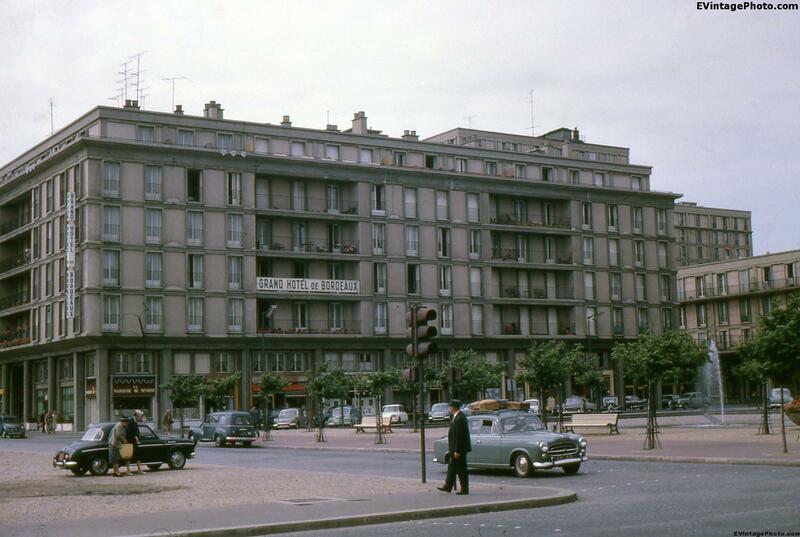 Vintage photo of the Grand Hotel de Bordeaux in Le Havre, France from 1962. Le Havre means simply “the port,” which aptly describes the port city located at the end of Seine River in the Normandy region of North West France. The city and port have both seen their share of trouble since it was founded in 1517. Wars ravaged the city all the way up until WWII, and it’s location on the Atlantic Ocean means it gets a few storms. The 1970’s saw a huge downturn in business to in Le Havre, but has seen quite a bit of development in the early part of the 21st Century. This includes an expansion of the container port, and the reintroduction of passenger ships.